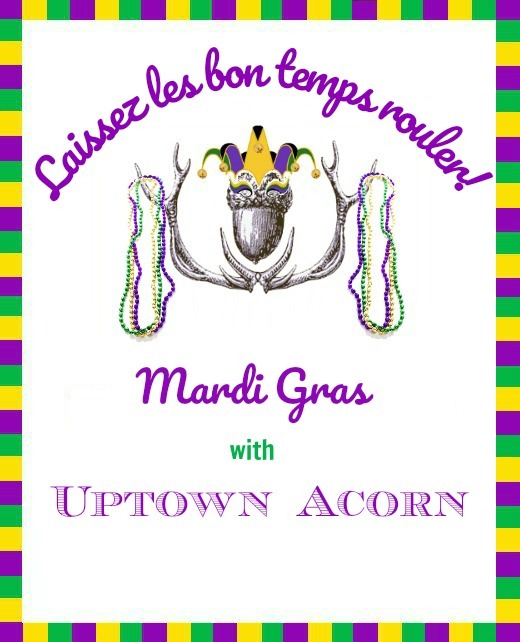 I've had this golden crown for years, so I dropped it off at Mitch's Flowers for some Mardi Gras love. Succulents in purple and green are just perfect for the season. I just love low maintenance plants that I do not have to look after this time of year. 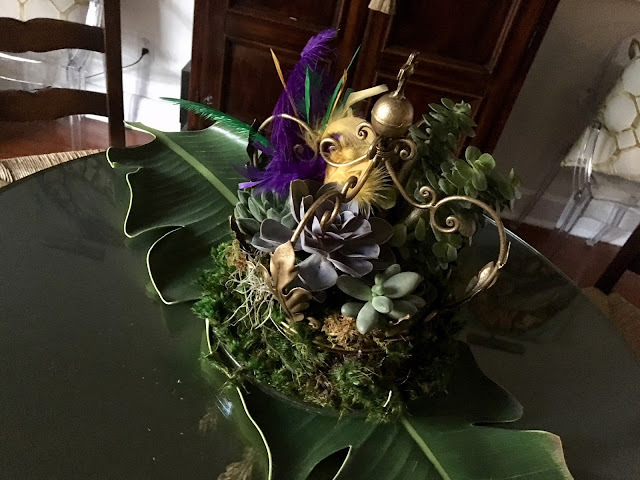 With the addition of feathers in purple, green, and gold, the arrangement is just perfect on the breakfast table. Orchids, succulents, feathers!!! Florals are Mardi Gras ready. So pretty Ron. Love the purple succulents. Love that gold crown too. Happy New Week. Love it, Ron. I love that they chose purple-hued succulents to blend with the theme, too. Gorgeous with the (banana tree?) leaves as runner, too! What a cute idea. 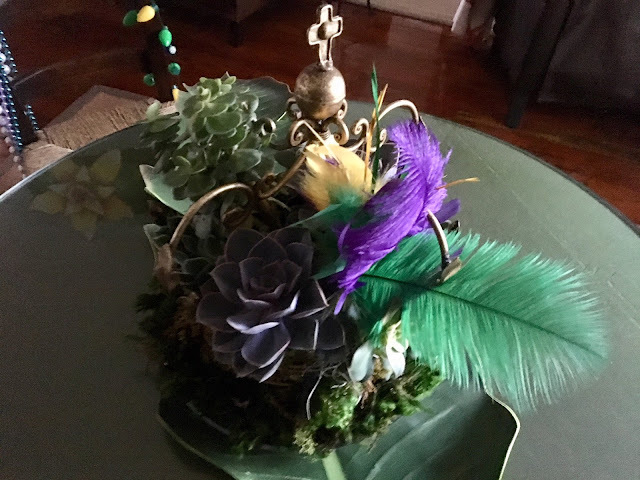 Love how they mix succulents and feathers in the crown. Low maintenance plants are a perfect choice.